Lupus, a rare autoimmune disease, affects at least 1.5 million Americans, according to the Lupus Foundation of America. Lupus causes the body's immune system to mistake its own tissues for foreign bodies and attacks them. WebMD explains that this disease can be both mild and a lifelong disability -- and usually affects women. Lupus is also more common in people of African, Asian or Native American descent, as it affects those populations two to three times as often as it affects whites. The disease usually hits between the ages of 15 and 44, although it can occur later in life as well, according to WebMD. According to WebMD, DLE is more externally based, mainly causing skin that's exposed to sunlight to burn or scar. DLE typically does not affect internal organs. SLE is very different from DLE because it affects both the skin and vital internal organs, according to WebMD. SLE can cause scaly, raised and butterfly-shaped rashes across your face and other parts of your body. The Mayo Clinic says it's also important to note that that drug-induced lupus usually disappears when the patient stops taking the medication. Lupus varies from patient to patient, so one person's experience with lupus isn't necessarily the status quo. 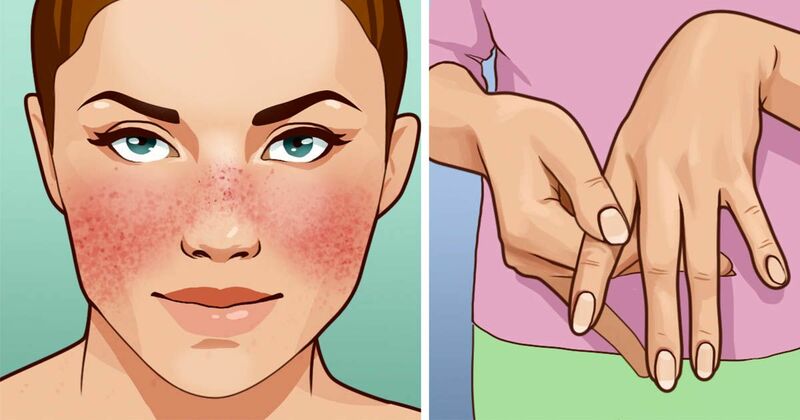 The Mayo Clinic explains that lupus is also tricky because some symptoms may come quickly and others may take a long time to develop. It's also the case that some symptoms are very mild, and others severe or even permanent. Nonsteroidal anti-inflammatory drugs (NSAIDs). Over-the-counter NSAIDs, such as naproxen sodium (Aleve) and ibuprofen (Advil, Motrin IB, others), may be used to treat pain, swelling and fever associated with lupus. Your doctor can also prescribe stronger NSAIDs. Antimalarial drugs, which are typically used to treat malaria, can also be used to treat lupus patients and control the disease. Corticosteroids, which suppress inflammation, can also help lupus patients suffering from swelling or skin inflammation. Immunosuppressants, which suppress your body's immune system, can be helpful with serious cases of the disease, since lupus uses your body's immune system against you in attacking healthy cells. Any, or even a combination of, these treatments should be thoroughly discussed with your doctor to understand all of the benefits of and side effects to your lupus treatment.